November 13, 2018 – E&I Cooperative Services (E&I) has appointed two new members to its Board of Directors: Jennifer Adling and Danny Kim. These appointments each bring two decades of experience in educational procurement and finance, and will provide strategic and management oversight to ensure the governing principles of the Cooperative are upheld in the best interest of its members. Jennifer Adling currently serves as the Chief Procurement Officer at Texas Tech University and the Texas Tech University system, where she oversees executive-level management of the offices of purchasing, contracting, payment services, p-card, travel, property surplus, and vendor services. 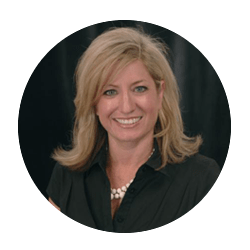 She is responsible for strategic planning, contract review and oversight, procurement technology resources management, and best-in-class project initiatives. Effective November 1, 2018, Adling is filling the role of Dr. Judy Smith, whose term expired June 2018. 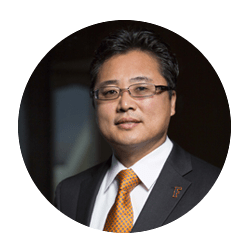 Danny Kim is the Vice President for Administration and Finance and the Chief Financial Officer at California State University, Fullerton. Kim is responsible for university administrative services and functions such as capital programs, university police, accounting, real estate acquisitions, and procurement, as well as the planning and management of campus operating budgets. Kim also serves on the president’s cabinet, the president’s advisory board, the board of the Auxiliary Services Corporation, and the investment committee for the Philanthropic Foundation. Effective December 1, 2018, he will be filling the role of William Cooper, who will be retiring from the Board as of December. More information about the E&I Cooperative Services Board of Directors, including full biographies, can be found here. E&I Cooperative Services (E&I) is the only member-owned, non-profit purchasing cooperative solely focused on serving education and related facilities. E&I delivers expertise, solutions, and services through a diverse portfolio of competitively solicited contracts. By leveraging the knowledge and purchasing power of its nationwide membership, E&I helps higher education and K-12 institutions reduce costs, optimize supply chain efficiencies, and save time on the RFP process. The Cooperative’s member-driven competitive solicitation process has been validated by the National Institute of Governmental Purchasing (NIGP) as complying with generally accepted procurement standards. For more information, please visit: www.eandi.org.